Harry, 32, also spoke to Newsweek magazine about the death of his mother. Prince Harry reveals in a candid new interview that he believes no one in the royal family wants to be king or queen. "We are involved in modernizing the British monarchy. We are not doing this for ourselves but for the greater good of the people," Harry told Newsweek magazine. "Is there any one of the royal family who wants to be king or queen? I don't think so, but we will carry out our duties at the right time." Harry, the fifth in line to the British throne, has made no secret about the downsides of being a royal but in the interview called the monarchy a "force for good." 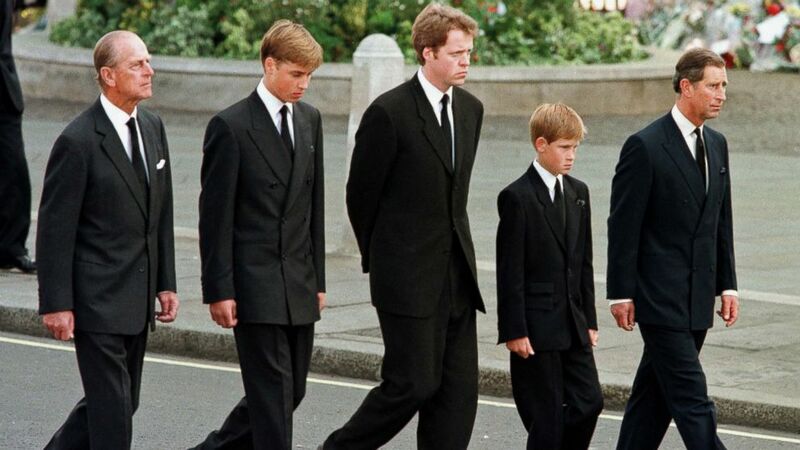 The 32-year-old prince was also remarkably open about one of the most traumatic days of his life, the funeral of his mother, Princess Diana, and the decision to have Harry, then 12, and Prince William, then 15, walk behind their mother's coffin in a public procession. (jeff J Mitchell/AFP/Getty Images) Britain's Prince Philip, Duke of Edinburgh, Prince William, Earl Spencer, Prince Harry and Prince Charles, Prince of Wales walk outside Westminster Abbey during the funeral service for Diana, Princess of Wales in London, Sept. 6, 1997. "My mother had just died, and I had to walk a long way behind her coffin, surrounded by thousands of people watching me while millions more did on television,” Harry said. “I don’t think any child should be asked to do that, under any circumstances. I don't think it would happen today "
That moment shaped his life. Harry admitted earlier this year the "total chaos" and near breakdown he had after Diana's death. He credited William, 35, with encouraging him to get counseling to deal with his grief. (Max Mumby/Indigo/Getty Images) Prince William, Duke of Cambridge, Catherine, Duchess of Cambridge and Prince Harry cheer on runners as they start the 2017 Virgin Money London Marathon, on April 23, 2017, in London. "My mother died when I was very young. I didn't want to be in the position I was in, but I eventually pulled my head out of the sand, started listening to people and decided to use my role for good. I am now fired up and energized and love charity stuff, meeting people and making them laugh,” Harry told Newsweek. “I sometimes still feel I am living in a goldfish bowl, but I now manage it better." Harry also credits Princess Diana, who was just 36 when she died, with instilling in him the values he carries around in his everyday life, an appreciation for an ordinary life and making privacy a high priority. Diana was famously called the "Princess of Hearts" for her humanitarian work and Harry has earned the nickname the "Prince of Hearts" for his own compassionate charity work. "My mother took a huge part in showing me an ordinary life, including taking me and my brother to see homeless people," he said. "Thank goodness I’m not completely cut off from reality. People would be amazed by the ordinary life William and I live." 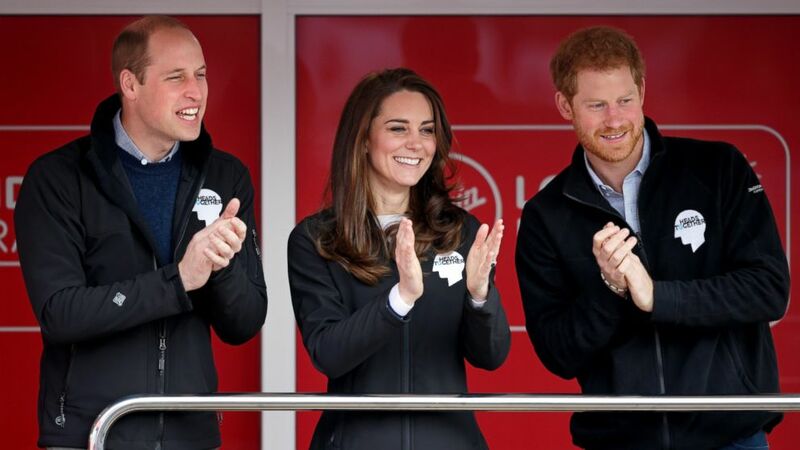 Even with his attempts to live a normal life, Harry conceded that preserving the "magic" of the monarchy is still a vital part of the institution. Time will tell if the "magic" that Harry refers to will lead to a fairy tale ending with Markle.